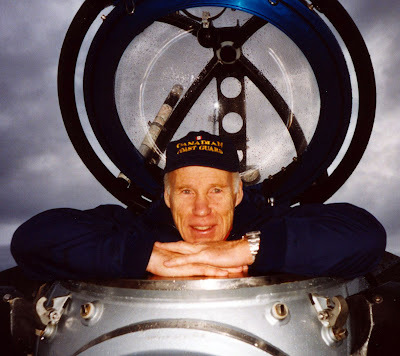 Dr. Joe MacInnis is a man of tremendous achievement in the world of DEEP-SEA Diving. His career has gone all the way from the U.S. Navy SEA-LAB program to leading the first team of divers to dive under the ice at the North Pole, to being a team member on the Expedition that discovered the Titanic. 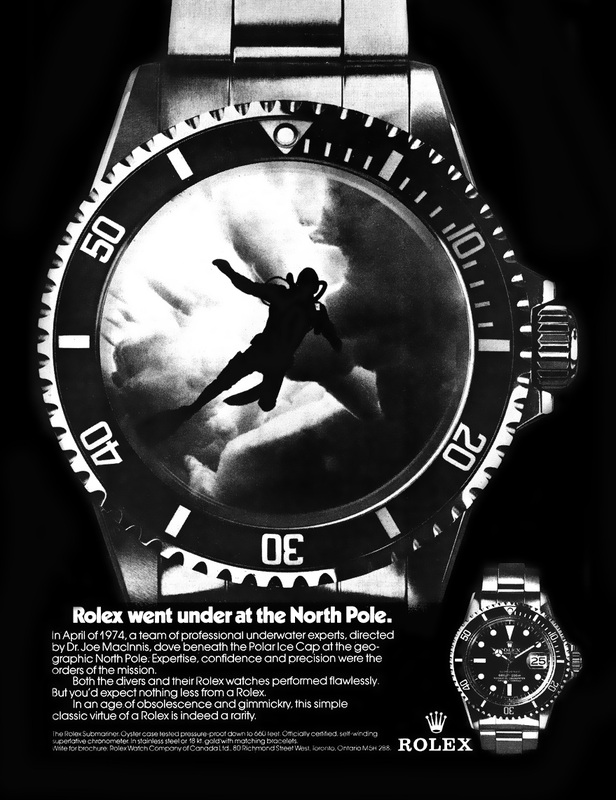 Dr. Joeseph MacInnis is featured below in the Rolex Submariner advertisement from 1969. 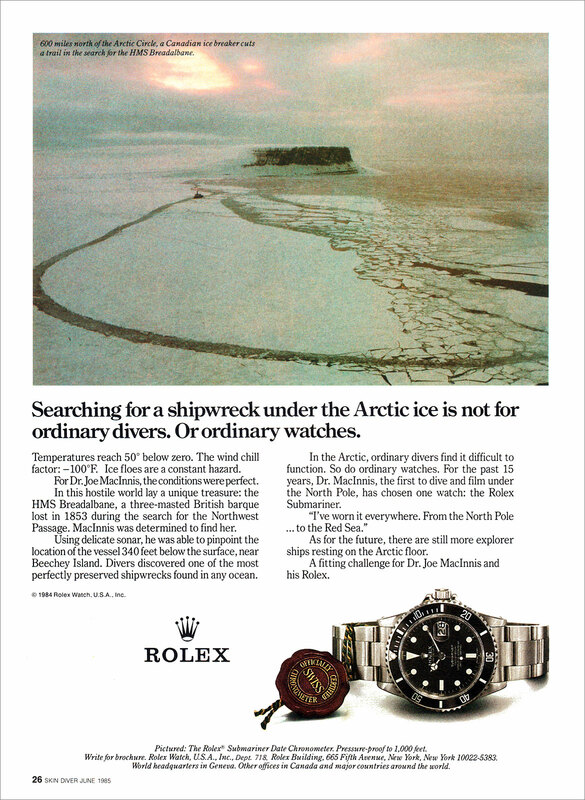 In the upcoming story of Dr. MacInnis' career, we will once again bring to life yet another Rolex Explorer from famous Rolex magazine ads. Dr. Joseph MacInnis is from Canada and has received many honors in his life including the Order Of Canada. Here is a full-length documentary from 1970 on the Arctic IV Expedition which was the first to dive beneath the polar ice at the North Pole. The movie also features fellow Canadian DEEP-SEA Explorer Dr. Phil Nuytten who we just examined in his own 2010 story preview just a few days ago. 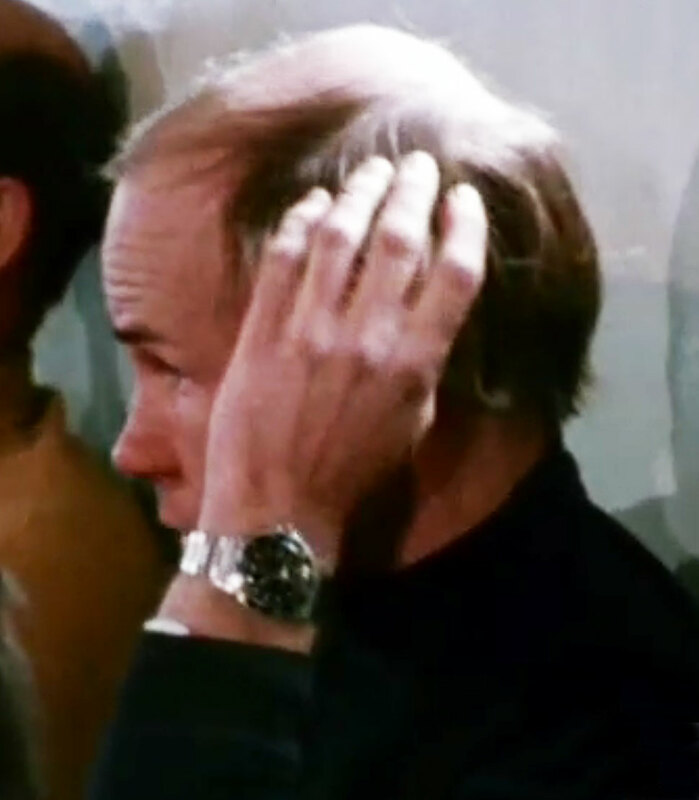 Pictured below is a photo of Dr. Joe MacInnis in 1970 sporting his trademark Rolex Submariner. Dr. MacInnis has led thirty expeditions in his life, under the Atlantic, Pacific and Arctic Oceans. 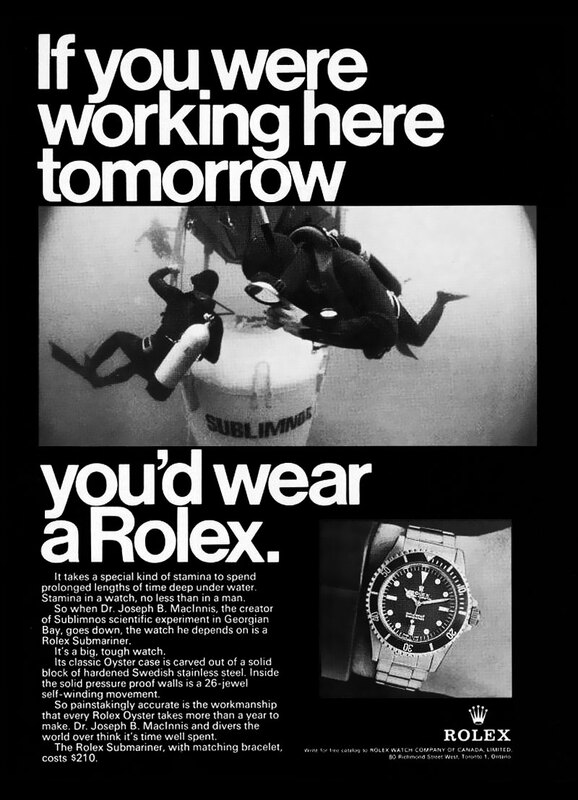 this simple classic virtue of a Rolex is indeed a rarity."